Import tariff rates on both regular and superior leaded and unleaded petrol fuel - as well as aviation petrol - will rise from 0 to 5 percent on Sep 5, according to a decision by the Ministry of Finance on Friday. 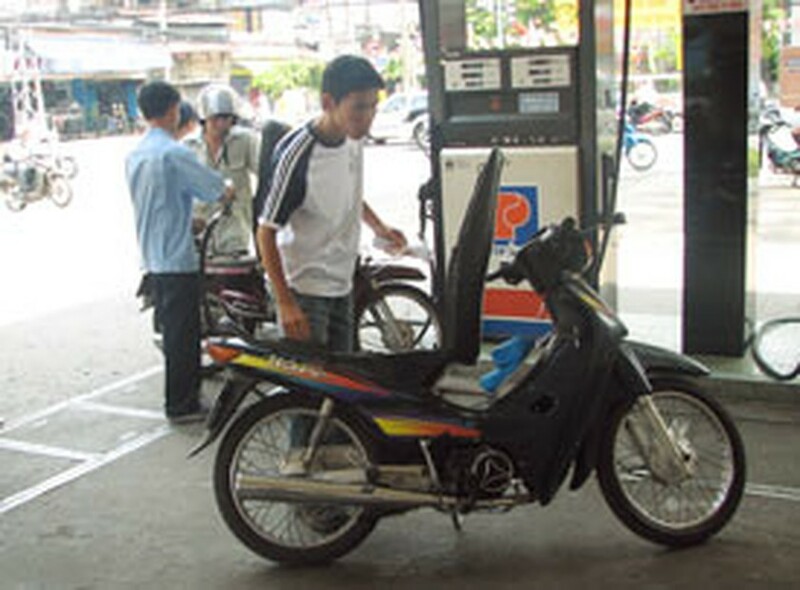 The increase of import petrol tariffs came in line with a statement made by the Ministry of Finance and the Ministry of Trade which said that if the world price of crude oil dropped down, the Government would raise the import tax on petrol, and then reduce the domestic retail price. In accordance with the statement, the increase took place as the price of light sweet crude oil for delivery in October has dropped to US$69 per barrel. But the contrary current rise in domestic retail price is due to the Ministry of Finance and the Ministry of Trade prediction that the world price of crude oil will jump up again to reach nearly US$75 – 80 per barrel by the end of the year. Petroleum is still exempt from domestic State-tax.